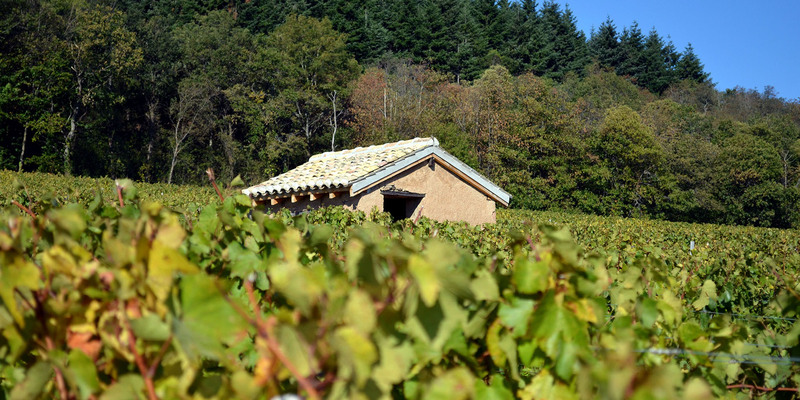 Our estate is located in Vergisson, a small picturesque village anchored in an exceptional and historical terroir where legends abound. 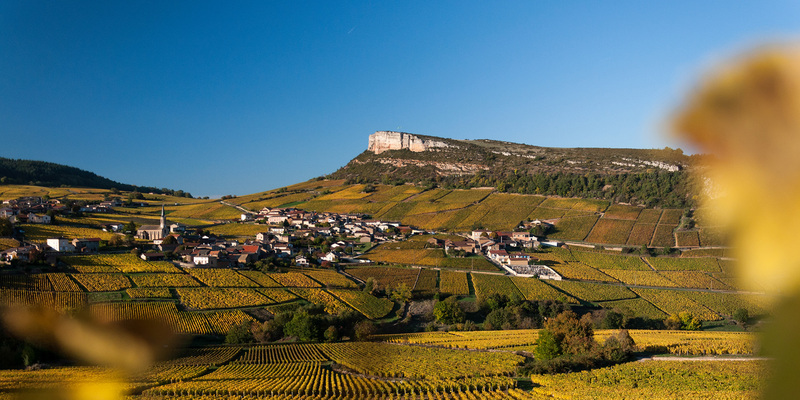 We benefit from a magnificent panorama over the Rock of Solutré and the outcrop of Vergisson. 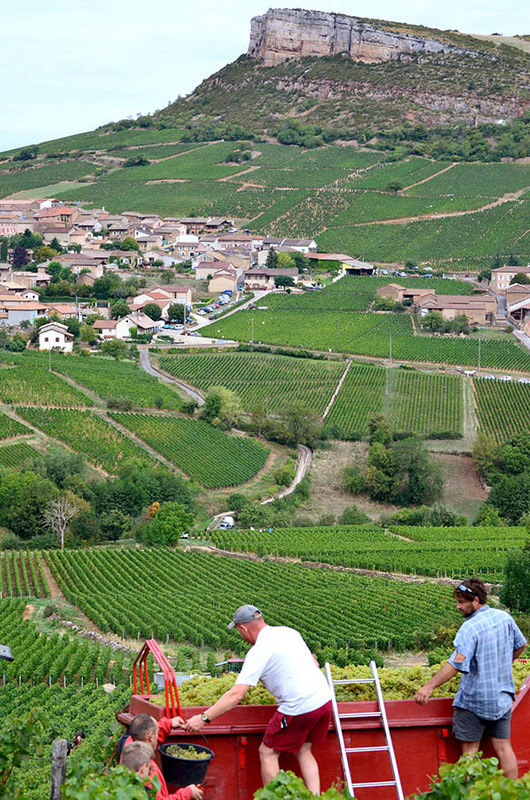 We farm a wide range of plots and blocks, the famous French climats where the Chardonnay grape expresses itself superbly well, on clay and limestone soils which give birth to rich and varied wines. 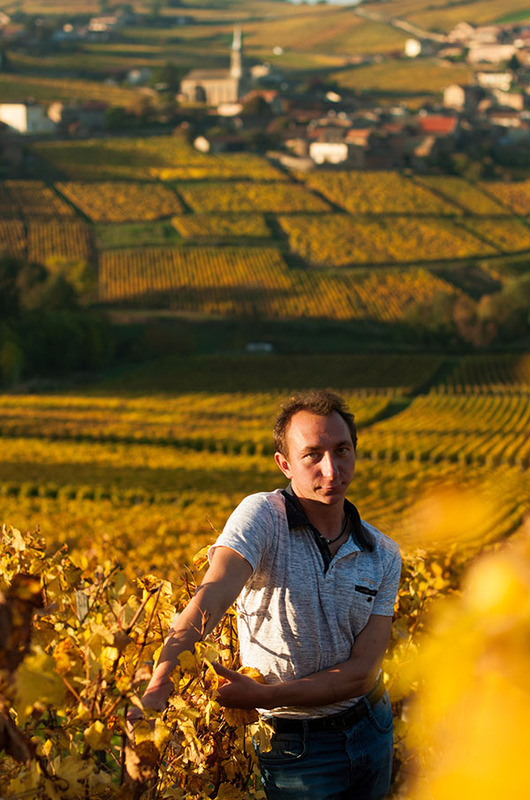 Meticulous work in the vineyard as well as in the cellar allows Domaine Thierry Drouin to extract the best from the soil and from the grapes, and to emphasise the typicity of each terroir in the best possible way. Combining decades of know-how and experience, Charles and Thierry craft authentic, utterly delicious wines. 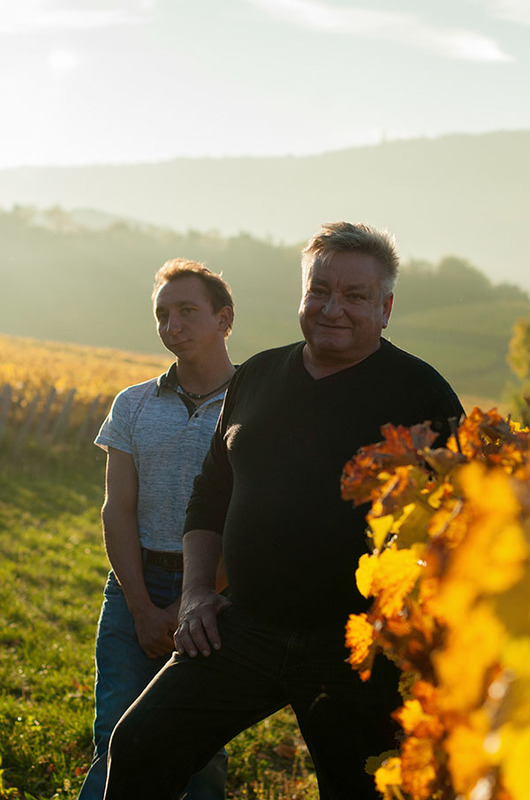 Established in 1981 in Vergisson in the Mâconnais region, the estate now covers about 10 hectares, 7 of which are in Pouilly-Fuissé, along with 3 hectares of Mâcon (white and red) and 60 ares of Saint-Véran. 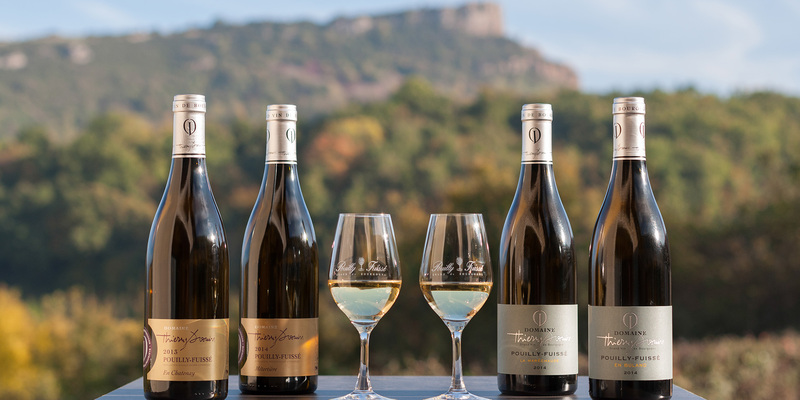 The grape variety for white wines is Chardonnay, the emblematic grape of Burgundy, which finds in our limestone and clay soils perfect conditions to thrive. It is at the core of the different cuvées of Pouilly-Fuissé, Mâcon-Bussières, Mâcon-Vergisson and Saint-Véran. The small cuvée of Mâcon Rouge “Les Bruyères” is made of Gamay—a demanding variety that, when farmed well, produces very pleasant wines. The age of the vineyard ranges from 25 to 65 years. The density is of 8,000 vines per hectare. Our vineyard benefits from a mosaic of soils offering an exceptional diversity of terroirs. 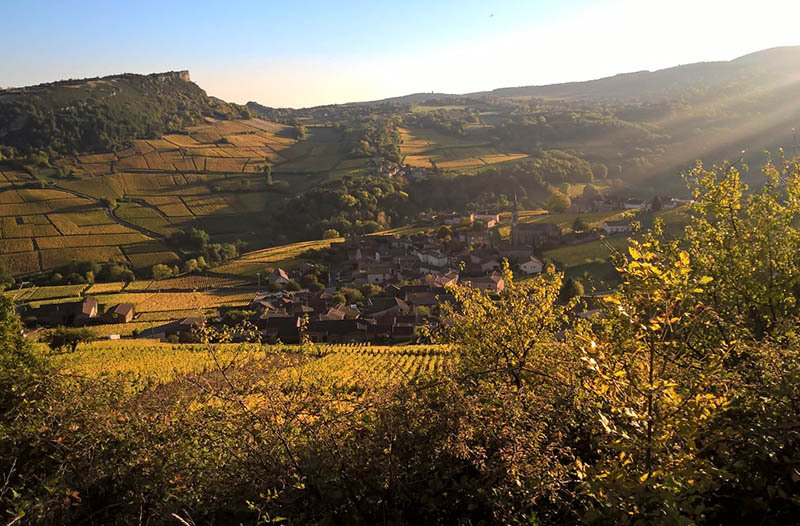 At the heart of the iconic site of Solutré-Pouilly-Vergisson, the estate is located not far from the Morvan, where an old prehistorical lagoon used to be, which explains the massive 160-million-year-old rocks of fossilized coral. Three types of soil can be found: limestone scree, limestone, and clay. Each soil type gives distinctive features to the wines. In the vineyard and the cellar, we aim to bring out the best of our terroirs through typical white and red wines. Our farming practices are environmentally-friendly, allowing us to use the fauna and the flora that surround us. We manage our vineyard sustainably, in particular when fighting diseases. Our viticulture is respectful of the environment, based on manual and meticulous work to produce elegant, rich and balanced wines. For example, more than half of our vineyard surface is ploughed, allowing for a better aeration of the soil and microbial life. The vines are trained with Guyot pruning or in a dual arch fashion (typical of the Mâconnais), using a single cane with 8 to 10 buds maximum and two spurs, which allows a good sap circulation in the vine and guarantees the durability of the vineyard. The unwanted buds are removed in the spring to avoid unnecessary grapes and to control our yields in order to obtain more concentrated, high-quality grapes. We eliminate some of the leaves in the summer to aerate the vines and allow for optimal sunshine, which naturally limits diseases and ensures grape maturity. We limit treatments—sulphur and copper—as much as possible and only use them if the health condition of the vines makes them unavoidable. We do not use insecticides, thus contributing to preserve our environment. The great vintages of Pouilly-Fuissé are exclusively hand-harvested, after the ideal maturity of the grapes of each plot has been reached. The winemaking begins with a slow and gentle pressing of the grapes with the use of a pneumatic press. The must is then decanted in tanks for 16 to 18 hours. 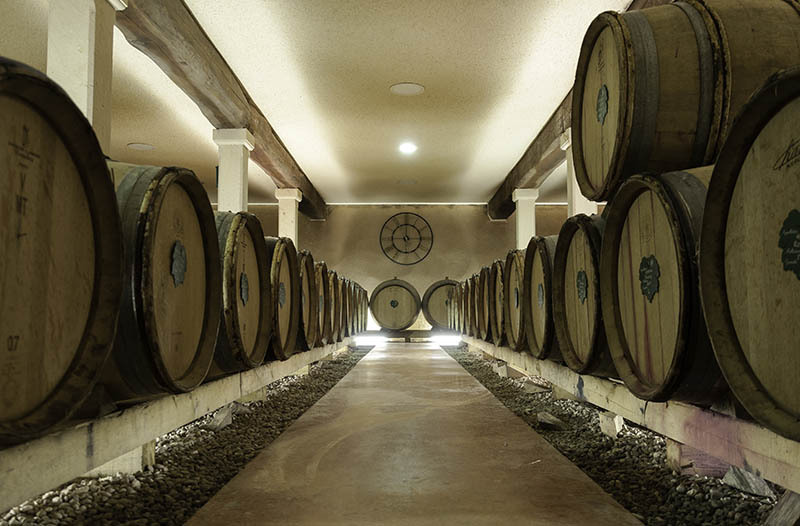 The clear juices are then gravity-fed into oak barrels. 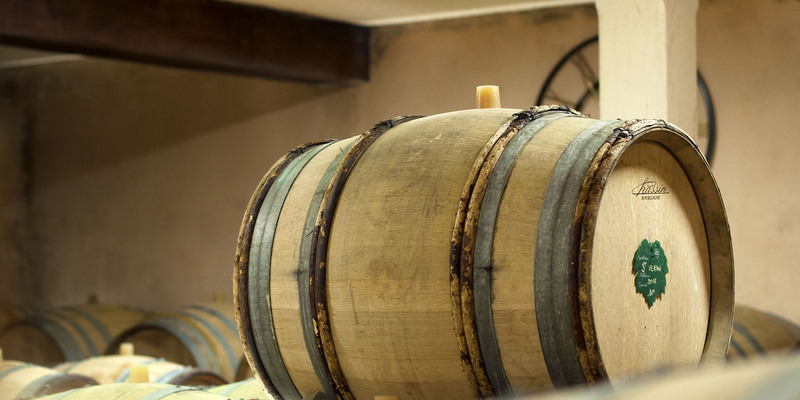 Alcoholic and malolactic fermentations are carried out in barrels. The wine is then aged on fine lees for 8 to 18 months depending on the vintages and then assembled 1 month before bottling at the estate.